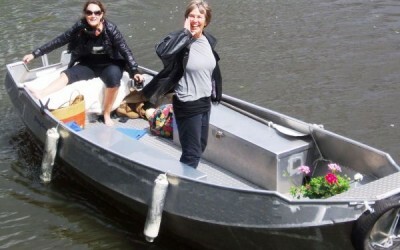 What boat to rent: completely open or partially covered? 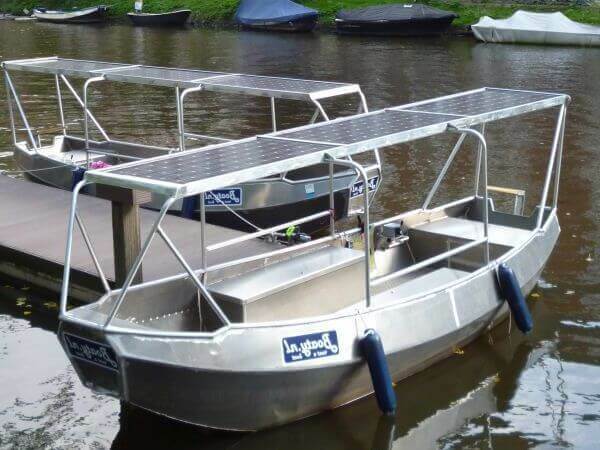 We rent two types of boats: completely open or partially covered by a solar panel canopy. When making your online reservation you can see what’s available at the time of your liking. If both open and partially covered boats are available, the choice is up to you. Apart from the canopy all boats are basically the same (same rates, speed, size and max. 6 people). Our boats are designed and build to be sailed by yourself. That’s great fun and quite easy, even if you have no license nor experience. 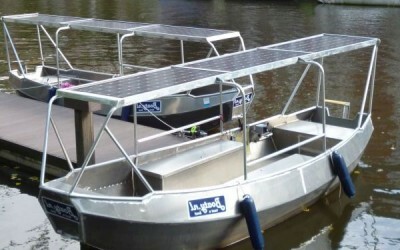 The boats are sturdy, reliable and easy to control. 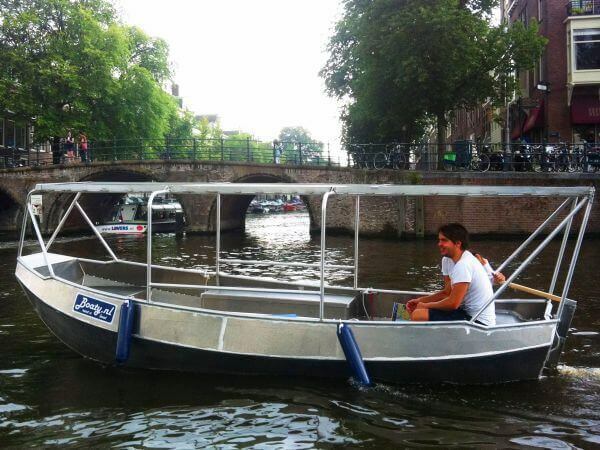 This makes them ideal for exploring the Amsterdam canals. 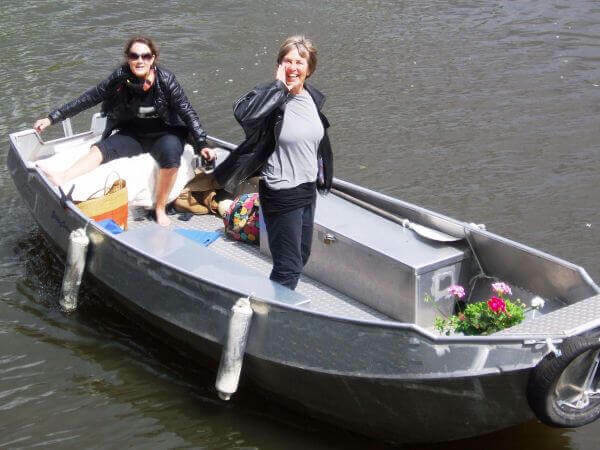 You can rent our boats for a maximum of six people, including yourself. Even with six people on board you could still bring some bags, food and drinks. Does your group have more than six people? Then we recommend to rent an additional boat. Or to leave your mother in law at home. We believe that renting a boat should be a relaxing experience. The electric propulsion of our boats is quiet and exhaustless. 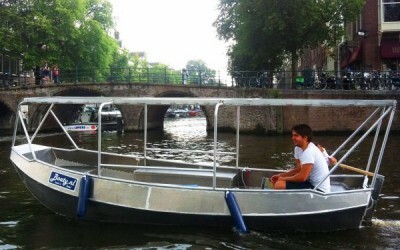 So you can have a good conversation on board and fully appreciate the clean Amsterdam air ;-). And, there is no tank for you to fill up on your way. What if you want an open boat, but they are all booked? 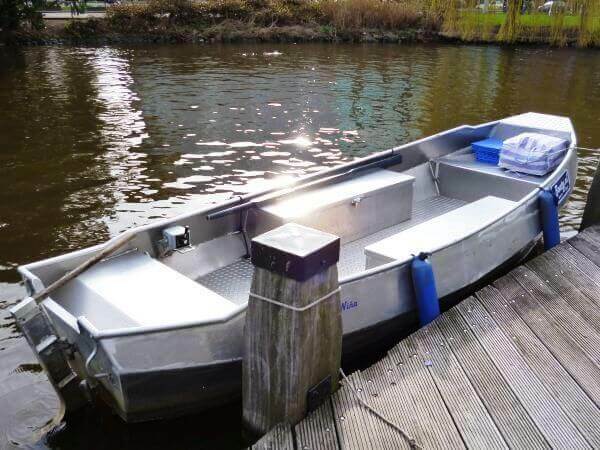 If you prefer an open boat and all open boats are already booked, you might want to try our colleagues of Boats4rent Amsterdam Boat Hire at the Westerpark. Looking for a larger or luxury boat with a captain instead? 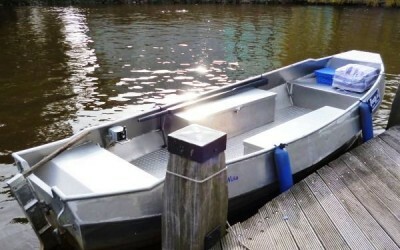 For a larger or luxury private boat with a skipper we recommend our colleagues of E-Boats Amsterdam.